Summer is here and it’s time for vacation travel, which can be made all the better by redeeming your hard-earned points and miles. Here are the latest promotion offers, program news and loyalty perks to consider when making your summer travel plans. Alaska Mileage Plan adds Finnair as newest partner. Alaska Airlines Mileage Plan has added yet another airline partner to its growing lineup, Finnair. In addition to flights to Chicago, Miami and New York, the Finnish national carrier has launched new, seasonal flights from Helsinki to San Francisco, which ties in well to Alaska’s strong presence on the West Coast. Alaska Mileage Plan members can earn and redeem miles on Finnair flights (and vice versa). Alaska is the last major U.S. airline to allow its members to earn miles based upon distance flown instead of fare paid. Flying Blue discounts award travel for summer. Air France is offering mileage awards with substantial discounts in economy and business class for travel during the month of August (reservations must be made by June 30). Business-class flights from Boston, Chicago and Mexico City to Europe are priced at 25% off with Air France. Economy class between New York and Paris Orly during the month of September is also 25% off. Don’t forget you can transfer points from American Express Membership Rewards and Chase Ultimate Rewards (among other programs) to Flying Blue to help you take advantage of these sizeable discounts. American Airlines lowers many summertime domestic awards for credit cardholders. Each quarter, American puts several of its domestic award routes on sale, offering thousands of AAdvantage miles off of travel. Destinations vary each month, and the size of the discount depends on which American-branded credit card you have. It’s possible to save as many as 7,500 miles on a saver-level round-trip award. To book these discounted awards, be sure to call the dedicated phone line and reference the specific code relevant to your card. Choice Privileges adds new elite benefit plus a summer gift card promotion. Choice Privileges, the loyalty program of Choice Hotels, is adding new perks for top-level elite members, including bonus points and welcome gifts at all of its hotels. 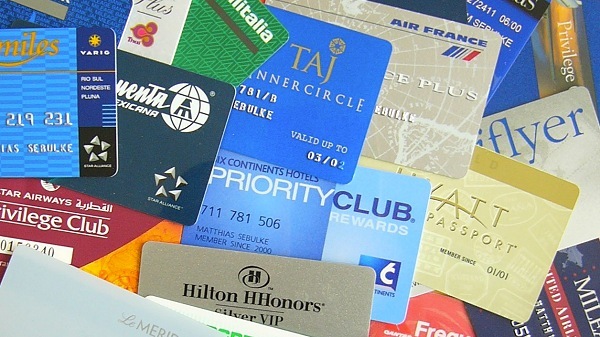 There’s also a promotion that awards anyone who stays twice by July 31 with enough points for a $50 gift card to numerous restaurants and retailers after registering for the promotion. Double and triple points with Starwood Preferred Guest this summer. Earn triple points on weekend stays and double points on weeknight stays with participating properties in the Starwood Preferred Guest program. Be sure to register by Aug. 30 (and before check-in); stays must be completed by Sept. 4. Marriott MegaBonus promotion offers extra points. Beginning with your second stay between now and Sept. 4, any stay at a Marriott Rewards property earns 2,000 bonus points per night. You can earn an additional 2,000 bonus points when staying with each brand within the Marriott Rewards portfolio. Register by Aug. 30 to take advantage. Hilton Honors offers double points on every stay. Not to be outdone, Hilton Honors is offering a lucrative bonus this summer with double points on every stay. Top-level Diamond members earn triple points per stay. The promotion lasts until Aug. 31, and it is even more valuable than ever now that Hilton Honors allows members to pool points with friends and family to achieve redemptions even faster. Plus, book any reservation via the Hilton Honors app, and you can earn another 500 bonus points. Double points with World of Hyatt. Hyatt’s new loyalty program, World of Hyatt, is offering double points at any family hotel beginning with the second stay until June 30. This offer is also available for new brands Hyatt Ziva and adults-only Hyatt Zilara brands that offer luxury, all-inclusive vacations in the Caribbean and Mexico. Be sure to register before your first stay. American Express Platinum cardmembers have access to Escape Lounges. American Express Platinum cardholders already enjoy access to Centurion lounges and select airline clubs. Now, there’s a new partnership giving cardholders and up to two guests free access to Escape Lounges across the U.S. Current locations include Hartford/Springfield, Minneapolis/St. Paul and Oakland. Delta expands access to Virgin Atlantic Clubhouse for elites, again. Previously, Delta took away Virgin Atlantic Clubhouse access at London’s Heathrow Airport for Gold, Platinum and Diamond Medallions traveling in economy; instead, they were directed to a third-party lounge. Since these elite tiers qualify as SkyTeam Elite Plus, lounge access is a published perk. Delta and Virgin Atlantic are once again permitting Platinum and Diamond members in economy and premium economy, in addition to business-class passengers, to have access to the popular Clubhouse featuring a la carte dining, a lavish bar, and its own spa and salon. Just in time for summer, that’s a rule reversal worth celebrating (although Gold Medallions are still sent elsewhere).